This one is a cracker property. 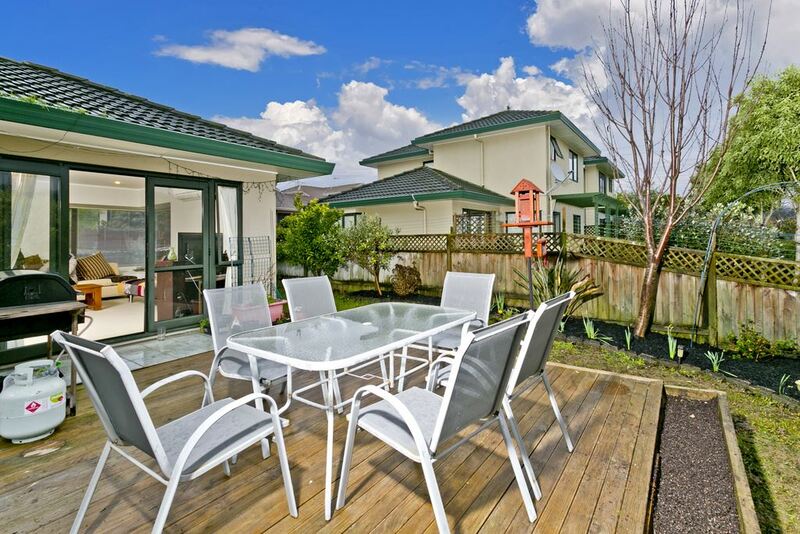 With an GV/RV of $520,000 this is ideal if you are wanting to buy your first family home, are a professional couple looking for a great lock up and leave or a hot rental investment in a very sought after location. A beautifully presented and well maintained duplex townhouse, one of only 8, with private front and back yard. Well-proportioned living space, flowing out onto a sunny north facing deck, 3 bedrooms, the master with walk in wardrobe and en-suite bathroom. Lots of room to park with a large double garage, plus room to park another two cars off-street. A short stroll to Albany Junior High and Senior and Kristen and easy access to Albany Village and Mega Centre. Our sellers will look at a longer settlement if required.